I grew up in a strange family. My parents were (are) leftist radical multinationals who believed, at least in theory, in overturning dominant structures. For example – my mother doesn’t support gay marriage. This isn’t a homophobic stance–she loves me and my partner– but an anti-institution-of-marriage stance. Never mind that she’s been married twice… that’s another story! They will not know I have gone away to come back. For the ones I left behind. For the ones that cannot out. The world premiere for the musical adaptation of The House on Mango Street opens this fall. 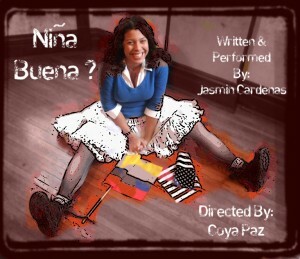 The cast of the new play features: Belinda Cervantes, Gina Cornejo, Sandra Delgado as Esperanza, Liza Fernandez, Ricardo Gutierrez, Christina Nieves, Tony Sancho and Mari Stratton. Earlier this year Proyecto Latina had the opportunity to talk to some of the ladies that are now involved with this production. The House On Mango Street by Chicago writer Sandra Cisneros has been adapted by playwright Tanya Saracho, who took on the challenge of bringing Esperanza and the people on Mango Street to the stage. Saracho also recently received two Jeff Nominations for her play Our Lady of the Underpass. 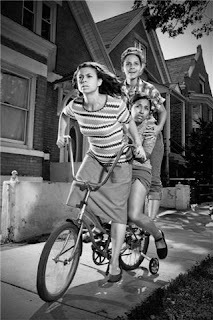 The House on Mango Street is a coming of age story of Esperanza, a Mexican-American girl, growing up in Chicago. The book gives voice to Esperanza and her working class family, as well as, the people that live on Mango Street. The book is not only a Chicago story but an American story. Proyecto Latina congratulates all of these ladies for their artistic achievements and contributions to the arts in Chicago. This World Premiere production opens October 13 – November 1. In the Steppenwolf Upstairs Theatre, 1650 N. Halsted St., in Chicago. For information on reservation and performance times visit www.steppenwolf.org or call (312) 335-1650. Is There A Dr. In The House That Speaks Spanish?